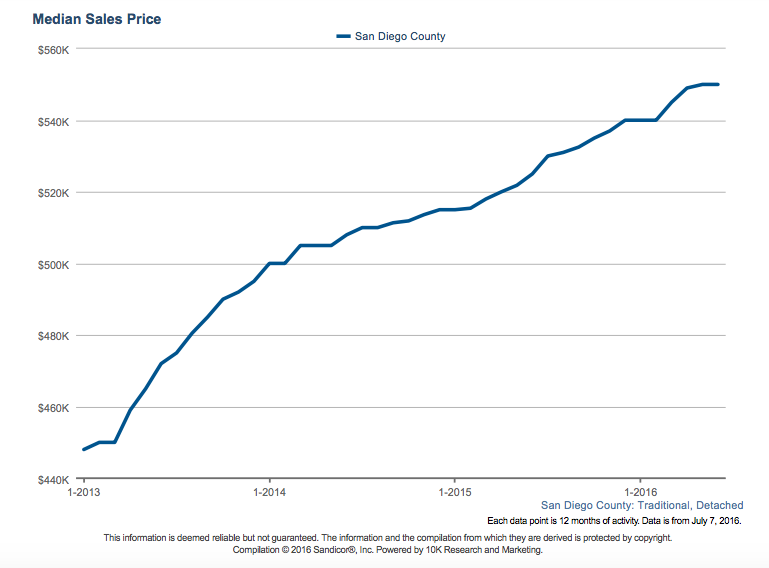 June’s San Diego real estate market in review: As of June 2016, the average detached home in San Diego County sold for $550,000, up 4.8% from the previous year. 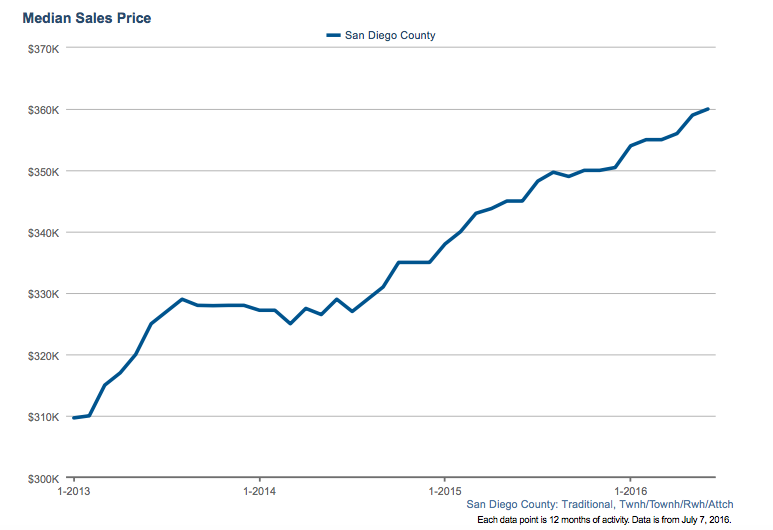 As of June 2016, the average attached home (including condos, townhomes, and twinhomes) in San Diego County sold for $360,000, slightly above last month. 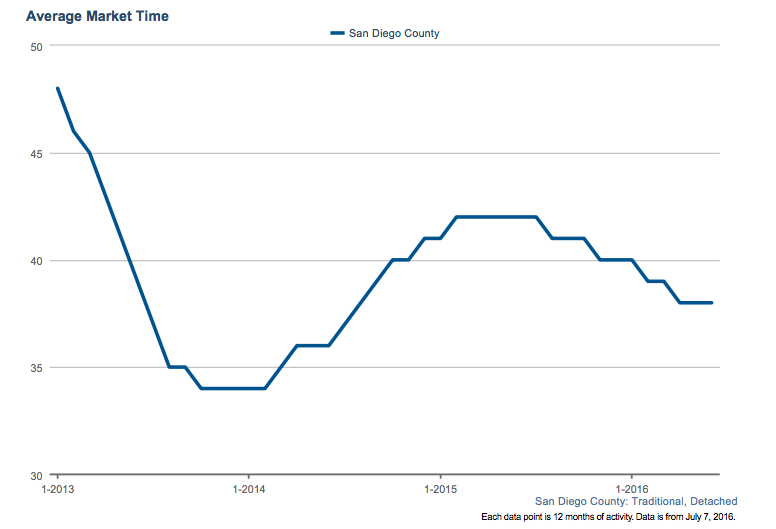 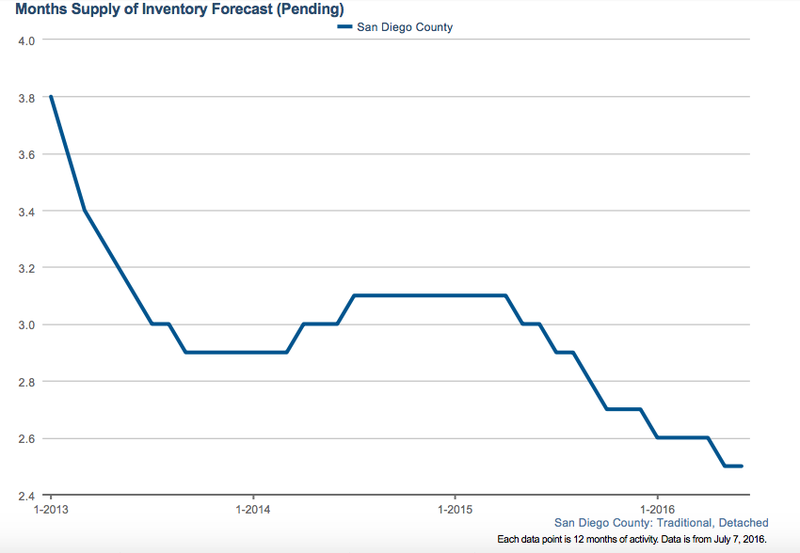 The average detached home in San Diego spent 38 days on the market. 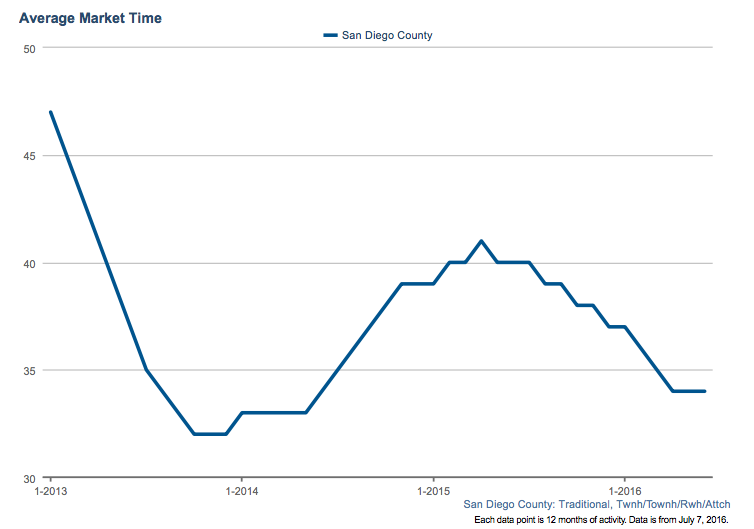 Condos, twinhomes, and townhomes in San Diego spent an average of 34 days on the market. 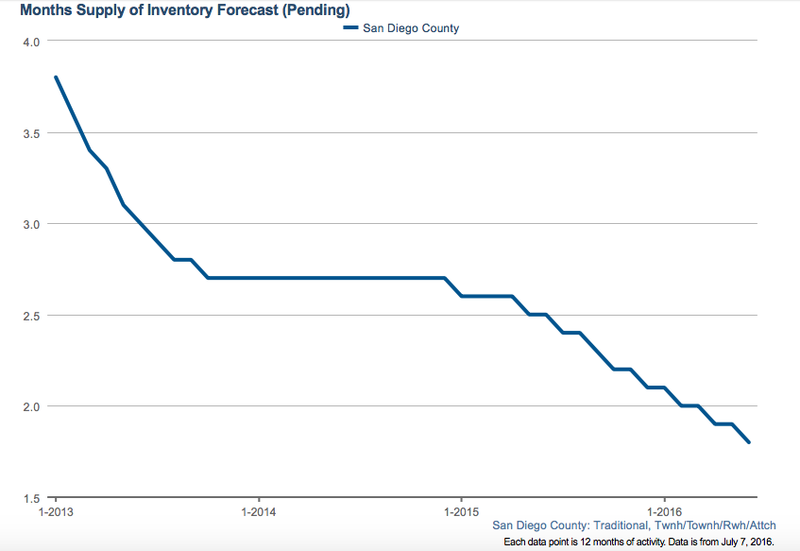 As of June 2016, we are in a seller’s market. 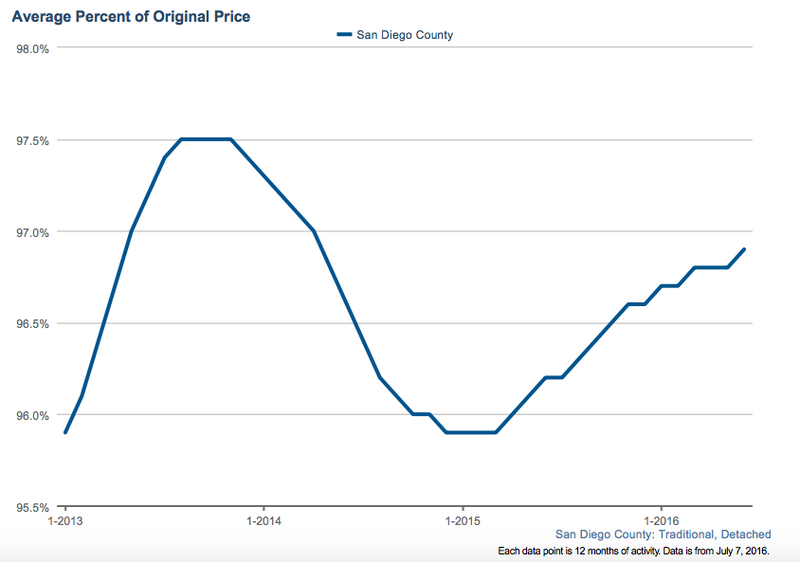 On average, a seller of a detached home in San Diego County receives 96.9% of the original list price at the close of the sale, slightly above the previous month. 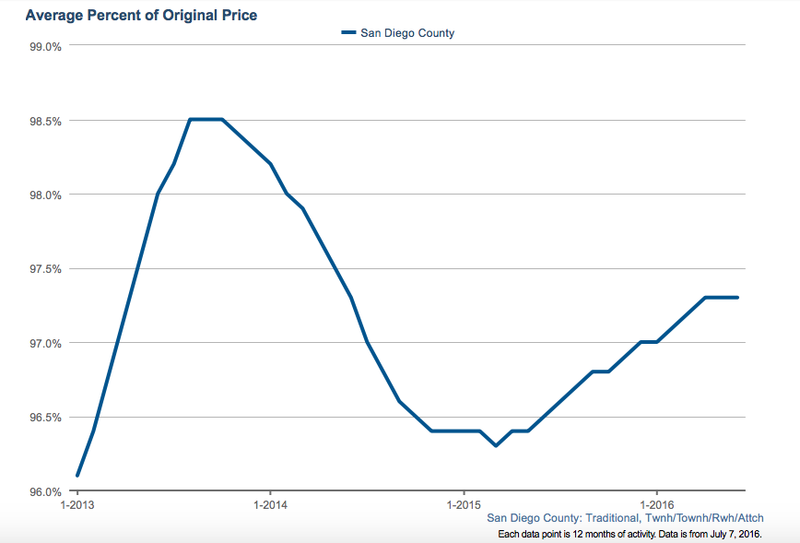 As of June 2016, the owners of attached properties (condos, twinhomes, and townhomes) retained 97.3% of the original listing price, the same as last month.